Obadiah Lack creates sophisticated drinks in a dive bar atmosphere at The Randolph in New York City. Founded by Dave Plate and Hari Kalyan in 2007, The Randolph at Broome in New York City’s Nolita neighborhood aims to be a dive bar that serves quality cocktails without pretense, and beverage director Obadiah Lack makes sure the venue adheres to that mission. 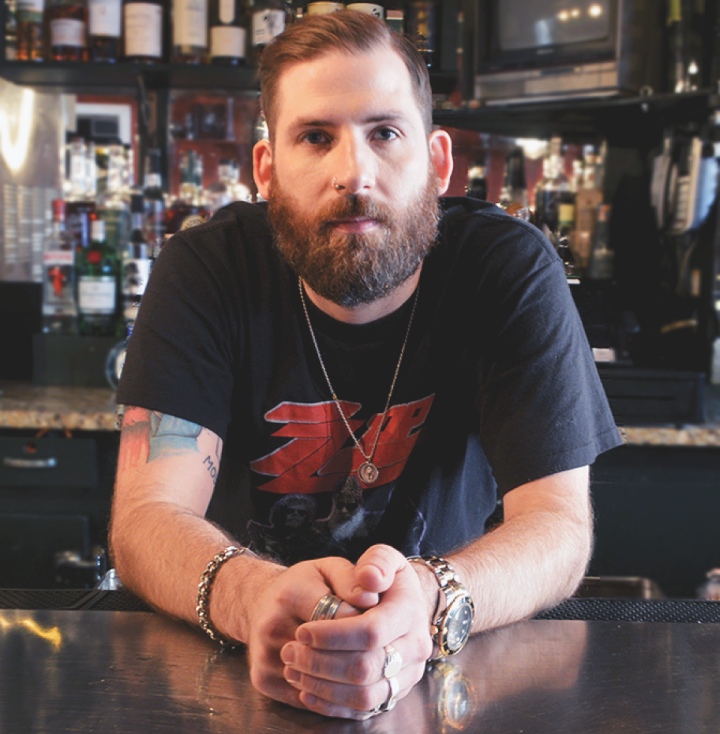 The Iowa native moved to Manhattan a decade ago to pursue a career as a chef and soon switched over to bartending. “I was cooking in the back and saw how much fun they were having out front,” Lack says. After stints at New York City restaurants L’asso and Brinkley’s, Lack joined Randolph Group, which also operates the beer-focused bar Randolph Beer on the same block as The Randolph and the spacious outpost Randolph Brooklyn in Williamsburg. He began overseeing the cocktail programs at all three locations about two years ago and collaborates with Plate and Randolph Beer general manager Kyle Kensrue on creating new seasonal cocktails four times a year. “We riff off each other,” Lack explains. “We try to keep some classics around and then come up with six or seven new drinks.” A popular mainstay is El Pepino Fresco, made with Olmeca Altos Tequila, St-Germain elderflower liqueur, cucumber, lime and Peychaud’s bitters. Cocktails are $14 at Broome and $13 in Brooklyn. 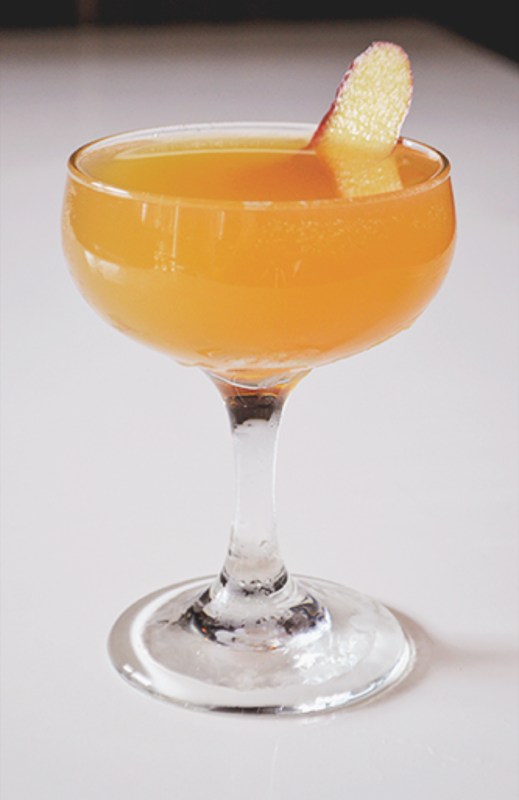 For this fall’s cocktail list, Lack emphasized autumn flavors like apple, pumpkin, maple and baking spices. Top-sellers include the Pumpkin Sour, made with pumpkin-spiced Sailor Jerry rum, egg white, lemon juice, simple syrup, toasted pumpkin seeds and Basement Bitter Frost bitters; the Talk to Me Goose, comprising Tito’s Handmade vodka, gooseberry, raspberry, lemon juice, sugar and Bittercube Cherry Bark Vanilla bitters; and The Moose Is Loose, mixing Four Roses Bourbon, mulled wine reduction, cassis, peppercorn, cinnamon, bay leaf, lemon juice and honey. Every menu features a cocktail that highlights a different seasonal fruit juice. This fall’s Granny Apple Bottom blends Granny Smith apple juice with Holland pepper–infused Herradura Blanco Tequila, L’Original Combier orange liqueur, Bittermans Hellfire Habanero Shrub bitters, lime juice, agave nectar and Tajín seasoning. Granny Smith apple juice ice cube2. 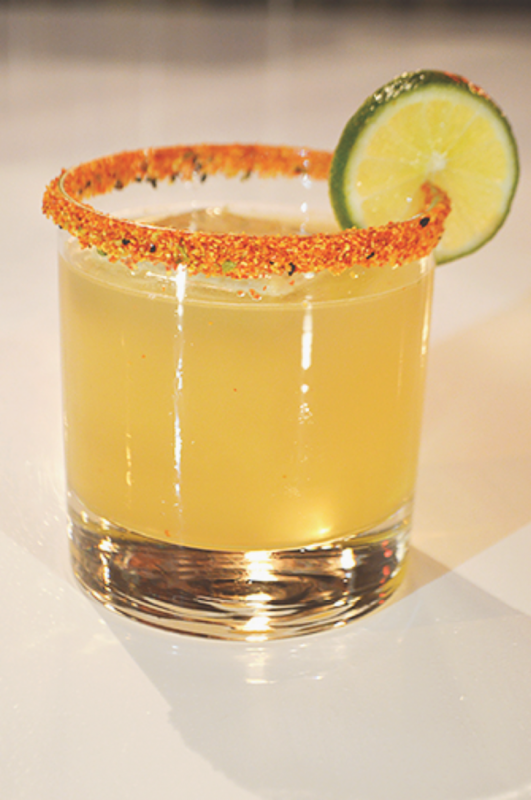 Rim a rocks glass with Tajín, fill with ice and set aside. Combine Tequila, liqueur, bitters, juices and agave nectar. Shake and strain into the rocks glass. Garnish with a lime wheel and a Granny Smith apple juice ice cube. 1Add 1 deseeded Holland pepper to 1 liter Tequila. Infuse for 48 hours. 2Core and juice 10 Granny Smith apples. Strain juice and fill three 2-inch eight-slot silicone ice cube trays. Freeze for 3-4 hours or until solid. Combine applejack, amaro, bitters, shrub and lemon juice with ice. Shake and strain into a coupe glass. Garnish with a piece of dried apple. 3Core and grate apples. Combine with equal amount of sugar, cover and refrigerate overnight. Add equal amount of apple cider vinegar, strain and seal.